With just over a week until President Trump’s May 12 ultimatum on Iran’s nuclear deal, there is growing speculation about what will happen. If President Trump does withdraw the US from the deal, however, Iran is being very clear what will happen. “The consequence would be that Iran would in fact be ready to go back to the previous situation,” said Iranian Ambassador Hamid Baeidinejad, who said that without the US “there is no deal left.” European nations had previously suggested the deal might stay intact with or without the US. The three European parties to the P5+1, Britain, France, and Germany, have been trying to come up with a sideline deal to placate President Trump and avoid the pullout. Whether this is going to be successful or not is still uncertain. Reuters quoted unnamed White House officials early Wednesday as saying Trump had all but decided to withdraw from the deal by May 12. Israeli Prime Minister Benjamin Netanyahu had made similar predictions earlier in the week, but is now just saying that the decision is in Trump’s hands. It’s not clear why Netanyahu is backing off his own predictions. Recent polling, however, has shown growing US support for the Iran deal. Though Trump has always been opposed to the idea, he may feel it is safer to keep temporarily extending it while publicly criticizing it for now, while trying to get more concessions from Europe. Iran would be well advised to renegotiate the deal with the EU and Russia, leave the USA out if they rescind their commitments. The USA will sanction everyone of course but it is better to split the P5+1 than to alienate the entire group. There’s nothing to negotiate. Iran was never planning to build a bomb in the first place. The whole point of the deal was to stop international sanctions. Now it is clear America will never stop sanctions and covert warfare against Iran. Other countries will either follow America, or not. It’s not going to matter whether or not a deal is in place. The “touted” winner of the next Nobel Peace Prize would not do that. Would he? In a godless world; thus, with no demonization of countries, sanctions on; and constant military threats against them, Russia, China, Cuba would, in my eyes be correct in their opposition to a nuclearized Iran. But with the Nation Gang, Israel, and US et al around, China and Russia, i declare have no right to deter Iran from getting some WMD. 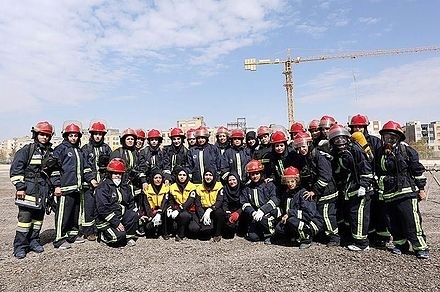 Of course, I am sad for what Iranian sect is doing to or against their women; thus wish, the West becoming more and more often critical of the Shi’a cult. establishment. Cults are the terrorist groups sponsored by Wahhabis world wide. They do not follow basic tennets of Sunni religion, abandoning the key justice provisions of Sharia. THESE ARE SUNNI CULTS, and all Sunni nations reject them, except Saudi Arabia. 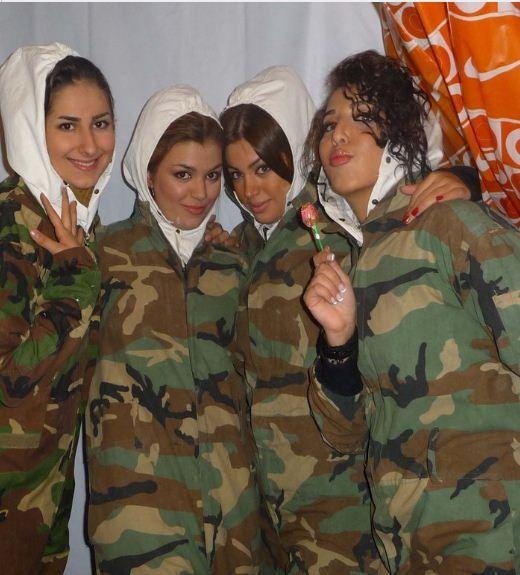 In Syria, Sunni or Shia women dressed as they liked — modern or traditional. They attend universities that during the entire conflict remained open. You cannot tell the difference between Sunni, Shia or Christian woman in Syrisn cities. But that exactly is the reason Israel hates Syria. It was and still is a secular state, with all religions bring equal. US hates the fact that it was unable to provoke a religious war. Onllybpeople who fell for Sunni Islamic cults were either mercenaries brought from iver 100 countries, or empowerished Iraqi Sunni refugees that had a grudge against Shia in their own country. But the heads if all religions in Syria stood by the Syrian government, and insured solidarity among different confessions. Syrian Army’s majority are Sunni soldiers. Shia population is 60% of Iraq, 40% of Kuweit, 90% of Bahrain, 90% of North Yemen, one third of Lebanon and 20% of Syria. Oman has its own version if Sunni religion, very similar to Shia Yemen. And even in countries where they are not a majority, they are dither plurality (Kuweit), or are supported by other minorities. Example is Lebanon, where ine third Shia is supported by another ine third of Christians. Simillar situation in Syria, where minority Shia is supported by urban Sunni, al Christians, most Kurds, and all Palestinians. Jirdan has OVER fifty percent Palestinian population, and they support Assad, as the government is allied with US — a veritable time bomb. Egypt does not accept Saudi Wahhabi version of Sunni Sharia, thus, it has good relationsvwith Iran. Propaganda is vicious in media against Shia, even though ALL terrorist groups in the Middle East — no exceptions — are Sunni. All terrorist groups in the entire African continent are Sunni. All terrorist groups on the entire Asian continent are Sunni. All terror acts committed in Europe or US was committed by Sunni terrorists. In the Middle East and South East Asia, most victims were Shia, Christians and Turkish Sufi. 2. Iran not only does not want nukes (as they are evil) but it wants a nuke-free region, as do all the other countries except you know who, the only one with nukes and belligerent as well. ‘Iranian sect is doing to or against their women’ do you mean like this? Why would Iran give even more importance to the SCROTUS (so-called-ruler of the us) when it is an international agreement and all the other Parties wish to continue and benefit? (of course the USA wants to “punish” them all, as usual when it does not get its way).